This Woman's Words: Is There Still a Black Community? Is There Still a Black Community? An Anglo professor at a Historically Black University (HBU) posed a question…Is there still a Black community? My initial reaction when I was told about this was multi-faceted. I thought…Of course there is a Black community. How dare he ask this question! I was a bit taken aback that he would ask such a question. But upon further consideration I know that in order to find the answer to that question, I have to go to the Black community. 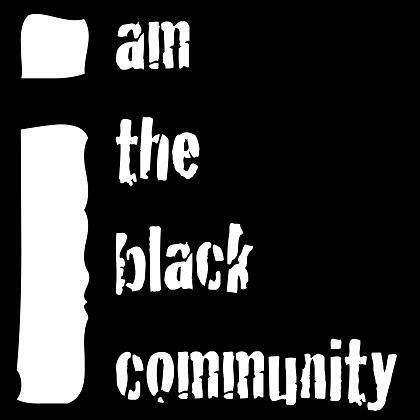 Next we need to tackle the question of “what is a community?” When most people think of the Black community, they have visions of groups of people joined together for a common cause. The Civil Rights struggle of the 50’s and 60’s comes to mind. Voters rights issues or the recent Trayvon Martin tragedy comes to mind. If there is no current newsworthy local, state or national cause, does the community cease to exist? Have we truly become a melting pot? Have we truly become woven into the fabric of America? Is it time for the Black community to redefine itself? Have we already redefined ourselves? These are not questions that one single Black person can answer. Just as with any race, we all have our own perceptions of who we are and how we define ourselves. This week on This Woman’s Words I ask the question… Is there still a Black community? This Woman's Words welcomes your comments. Enjoyed the guests on the show.There will always be a black community. Anonymous10:54, Thanks for listening and thanks for your comment. Be sure to listen to the follow up show on Sunday December 16th at 5:30 CST. Christmas: What Does it Mean in 2012? Elementary School Shooting: Where Does It End?